I am new to athletics, where do I start in terms of qualifications? Athletics Leader is the first workshop for new people and is open to volunteers over the age of 14 years. Coaching Assistant is the first of the qualifications, and is open to volunteers over 16 years. I have been an international athlete as a junior and into my senior competitive career, do I need to start at the first level? 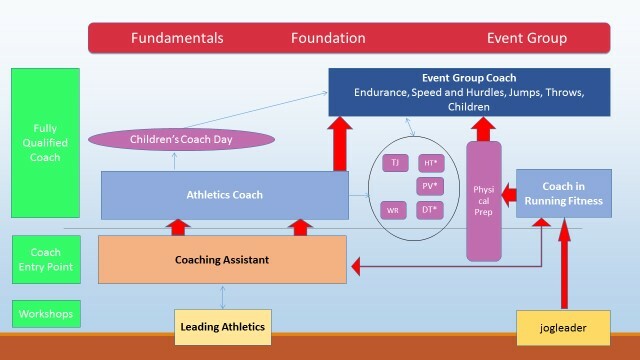 Yes, there is a need for all volunteers to start with the basics of coaching and understanding the coaching process, not only the technical side of the sport. 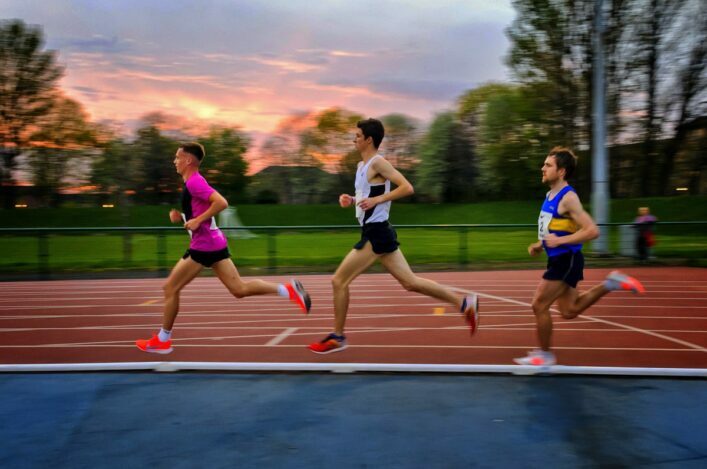 What is the Leading Athletics Course? What is the Coaching Assistants award? A two-day course that helps the new coaches explore how to coach, using the athletics events as the vehicle to up-skill the coaches. This is the entry level qualification for coaches and each coach will be licensed by UKA. I am 16 years of age, is there any limitation on the Coaching Assistant course? Yes, until you reach the age or 18 years, you should be directly supervised by a fully qualified coach during your delivery. Once 18, the normal licencing rules apply, you can lead sessions or parts of sessions whilst the lead coach is in the venue. The lead coach should plan and set the sessions being delivered. I already have a Coaching Assistant Award, what is my next step? The award is for coaches who are working with athletes over 12 years of age. Are there limitations on these qualifications? You need to be over the age of 18 years to attend these two courses. Coach in Running Fitness is for Off-Track coaching – hill, fell, mountain, road etc. These are additional modules that can be taken online – www.ucoach.com. Pole Vault, Hammer and Discus have an additional safety assessment, which will be delivered in partnership with the Integration Days. What do I need to do to become qualified at the Athletics Coach or Coach in Running Fitness? I am an Athletics Coach or a UKA Level 2 coach already, what next? You can add the additional modules to your AC qualification, all online. These qualifications are all online, www.ucoach.com. What is involved in completing this course? Each Event Group is split into sections, sub-sections and multiple choice questionnaires. At the end of all subsections there are questions that need to be answered in order to pass that section. Once all sections have been competed, you must attend an integration day to complete the qualification. scottishathletics will run these annually in the autumn. Please note that no place will be confirmed until all of the above has been completed and submitted. What are the costs of the courses? Coaching Assistant 16 years+ £195, including coach membership of £25 for three years. Where can I look for funding available for courses? All coaches must be “Coach” members of scottishathletics to access the subsided costs on all courses. This costs £25 for three years. The “Coach” membership is in addition to any athlete membership. Where a coach does not complete the course, they will be invoiced for the subsidy paid of £255.